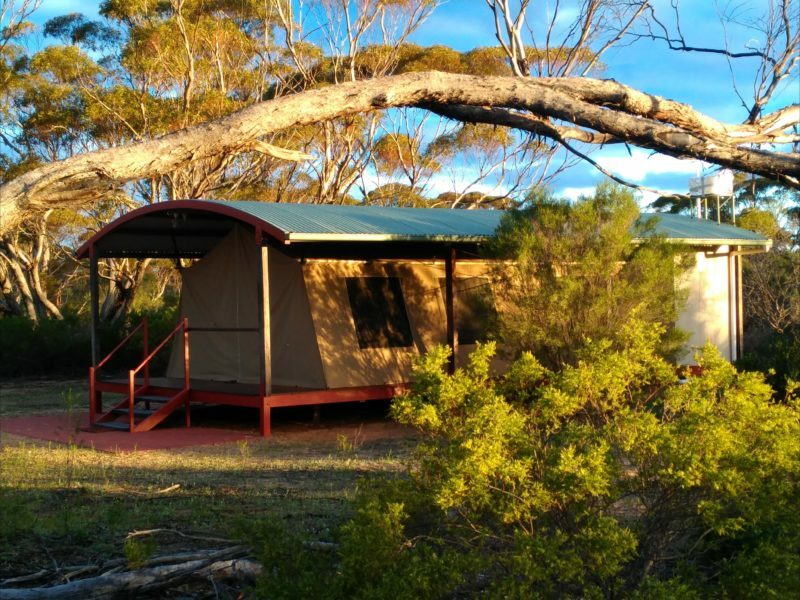 Gawler Ranges Safaris offer amazingly beautiful outback, wildlife specialty tours. With Gawler Ranges Wilderness Safaris you will see an amazing diversity and profusion of wildlife in numbers rarely seen elsewhere in Australia. 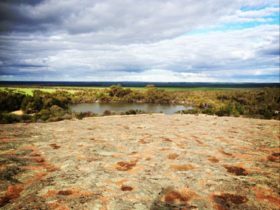 The Mallee region of the Eyre Peninsula has an extraordinary range of wildly beautiful outback country boasting contrasting colours of red sands and rocky gorges, blue skies and the glistening white of massive Lake Gairdner. It is one of few places that three large species of kangaroos can be seen in amazing numbers. Together with over 100 species of birds, wild koalas at Port Lincoln and swimming with sea lions and dolphins at Baird Bay, you will see almost everything in wild Australian animal types to see on a three or four day tour. 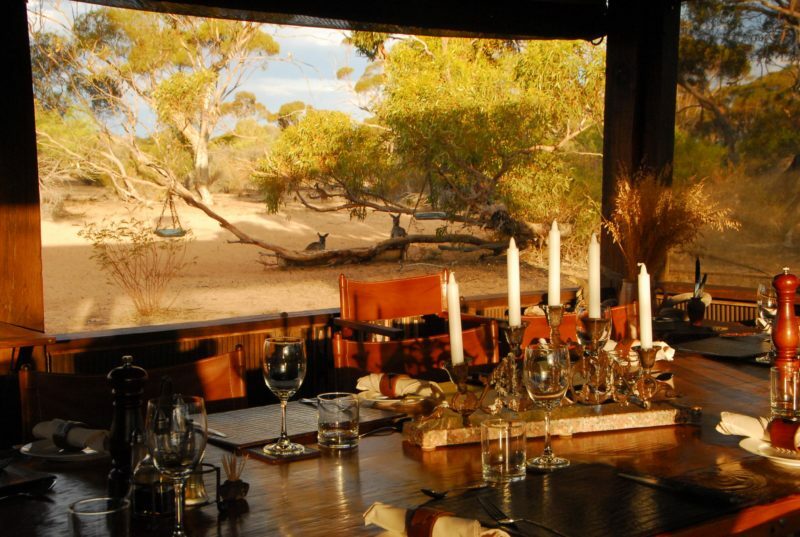 Guests stay at Kangaluna Camp, a boutique permanent tented camp that caters for up to 14 guests in a resonantly Australian setting. 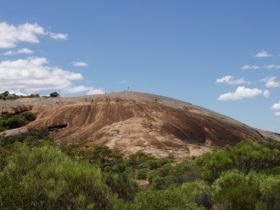 From Wudinna Rock, a large granite monolith, experience a four wheel driving adventure as we track through low-bush covered dunes past Mount Sturt and the Corrobinnie Depression. Passing through beautiful valleys and gorges to Lake Gairdner which looks like a piece of Antarctica in the midst of a red desert. Operates: From Wudinna or Port Lincoln by arrangement. Starting at Port Lincoln, visit Mikirra koala colony, travel into the bush to Mount Sturt and the Corrobinnie Lakes. Drive to Lake Gairdner, a white salt pan set in the middle of a red landscape. 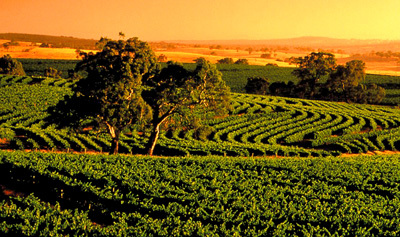 See emus and kangaroos in the evening while driving through the ancient outback. Then head seaward to watch and swim with Bottlenose Dolphins in shallow water. Then on to visit and play face to face with a resident colony of rare Australian Sea Lions. Operates: From Port Lincoln on Monday, departure every Monday from Sept 1 to May 31.